A Marriott has opened in Port-au-Prince and a Hilton isn’t far behind. Announcements like this mark a change in Haiti’s business landscape that the Haitian Diaspora should be happy about. In the last few years, some of the bold business-minded members of the diaspora have taken matters into their own hands and started their own businesses. These entrepreneurs understand that business creation is the best route to economic self-sustainability for the country. It is exciting to discover and report on these emerging businesses. As you look at the list you might say, well it’s only four businesses, but as these businesses succeed they will inspire others. Remember that, seven years ago, these business opportunities did not even exist, much less have an upscale supermarket carrying a product made in Haiti. The products from these companies are either created in Haiti or use materials from Haiti. LS Cream. 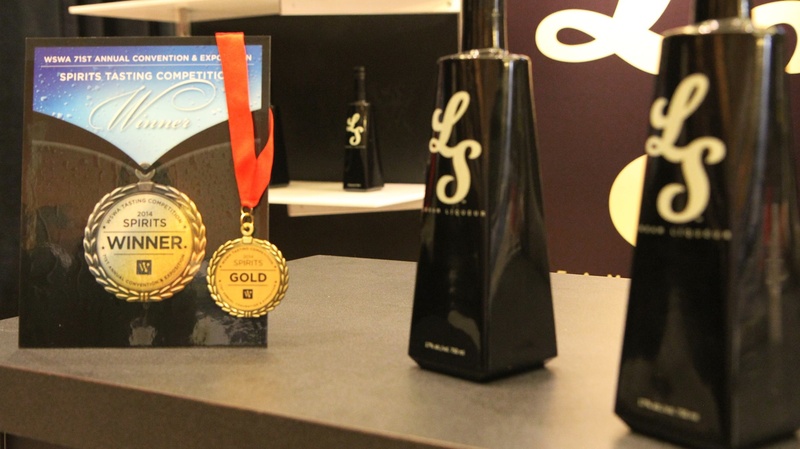 Founded in 2013, by Haitian-Canadian Stevens Charles, LS Cream (Cremas) has already won several prestigious awards. This iconic and flavorful drink made has always been part of Haitian culture. This liqueur won the WSWA Tasting Competition, 2014 Spirit Gold award, and the San Francisco World Spirits Competition 2014 Silver Medal. It took Stevens Charles three years to bring the product to market, and it was an immediate success. This special drink, served at cocktail parties, weddings, and celebrity events is a must-have. A $20.00 bottle makes you part of the “in” crowd. With its high quality in taste and beautiful package, success is on the horizon. It is currently distributed throughout the U.S. and Canada. Caribbean Craft. Magalie Dresse, a Haitian entrepreneur, bought this company in 2006 that creates beautiful arts and crafts that reflect both Haitian and Caribbean culture. From paper mache home accents, wall décor, magnets and key chains, the list of items is too long to fit in this post. 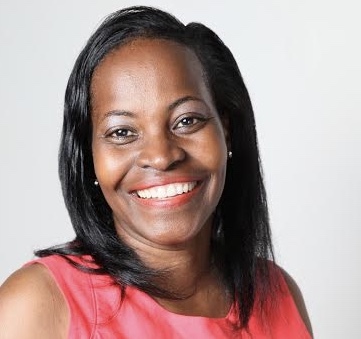 Magalie is a tireless businesswoman who gets the big picture and is working hard to change Haiti’s economic landscape for the masses, and not just the elite. Perhaps that is why her success has Oprah Winfrey singing her praises and U.S. fashion designer Donna Karan as a business ally in Haiti. She is leading the way by communicating to her fellow entrepreneurs that it is possible to be profitable and treat employees with dignity and respect at the same time. Indian Hemp & Haitian Vetiver Body Wash and Lotion. A routine trip to the Fairway supermarket several weeks ago introduced me to these two products made with a famous Haitian plant. Vetiver is grown primarily in Haiti, but also in some parts of China and India. Some of the most expensive perfume brands in Europe use the plant to make their $100 to $300 perfumes. The immense creativity of the Haitian people is fertile ground for startup innovation. It is not difficult to determine why designers like Donna Karan and Kenneth Cole are interested in the Haitian market. I know some of the foreign journalists are presenting some of the social business initiatives there as charity cases, but I think differently. If those designers did not see value and profit, they would not be investing their resources in Haiti. Similar to Donna Karan, Julie Colombino sees Haiti’s creative potential, and is working with Haitian artisans through her REBUILD globally organization. Colombino has the right idea when it comes to working in Haiti. Instead of the usual non-profits that keep Haiti dependent on aid, she has created Deux Mains Sandals as a social business to empower the people economically. Deux Mains works with Haitian artisans to craft beautiful, authentic, handmade sandals from up-cycled tires. As you explore the company’s website, you learn about the stories behind the people making the sandals. It is quite inspiring. Whether you are looking for some unique quality products with a Haitian heritage, or looking for an investment opportunity, these emerging businesses should give you hope. Disclosure: The author does not receive any compensation for writing about these companies. She uses some of the products and believes in what the companies are doing to change lives and create jobs. About the author: Daniella Bien-Aime is the founder of the Bien-Aime Post, a digital platform that focuses on business, leadership, education, and social media, within the context of the Haitian diaspora and Haiti. You can follow her on Twitter @dbienaime. Great article. As an aspiring entrepreneur and member of the Haitian diaspora, it is exciting to see people making a difference. Keep up the great work changing the narrative around Haiti. Thank you for the kind remarks. It’s great to know you are pursuing an entrepreneurial path. We need more Haitians in the diaspora to focus on business creation as opposed to non-profit. Which area are you focusing on? Thanks, Kat! Although I wrote it several weeks ago, it’s still getting traction online. I love to highlight these innovative businesses that are changing Haiti and the diaspora.